StormyEnglish | WesternStormy: White horse but it is really called grey, mare, throughbred, she’s the tallest horse in the barn standing at 16’3 hands, a very good jumper jumps 3’6. 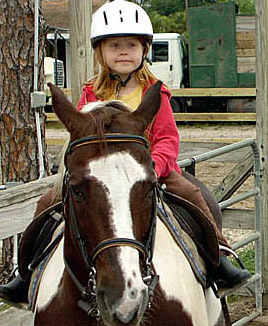 MissyEnglish | WesternMissy: a welsh pony, a very good jumper, great for beginners. SocksEnglish | WesternSocks: Gelding, registered paint, 15’2 hands, very good jumper & beautiful horse. Shine English | Western Shine: dark bay gelding. He is a registered Tennessee waking horse 16 hands. He is one of the friendliest horse’s in the barn. Rockey English | Western Rockey: Gelding, he is a registered appaloosa, 15’2 hands he is a advanced horse, he is a beautiful horse and he jumps 3’6. Rocket English | Western Rocket is a gorgeous 6 year old dapple gray quarter horse. He is 15.3 hands and he likes to jump. Polo English | Western Polo: he is a white horse but it is called Gray, gelding, he is a thoroughbred, 15 hands, a great jumper advanced horse and he is really gorgeous. Mikey English | Western Mikey: Paint, Gelding, beautiful horse! 14’3 hands, very good jumper and loves little or big kids he is beginner horse. Magic English | Western Magic: Chestnut, Gelding, he is a quarter horse, 16’2 hands, great beginner horse and he loves kids. Donut English | Western Donut: Dark Bay, mare,13’3 hands, advanced pony, she is a really good jumper.